My favorite pic of "Our Great Leader"
I do this because I come from a generation that saw how BN evolved. A generation that witnessed alliance politics morph into something ugly but more importantly, saw how the public supported a corrupt system out of pragmatism or fear or just plain self-interest. 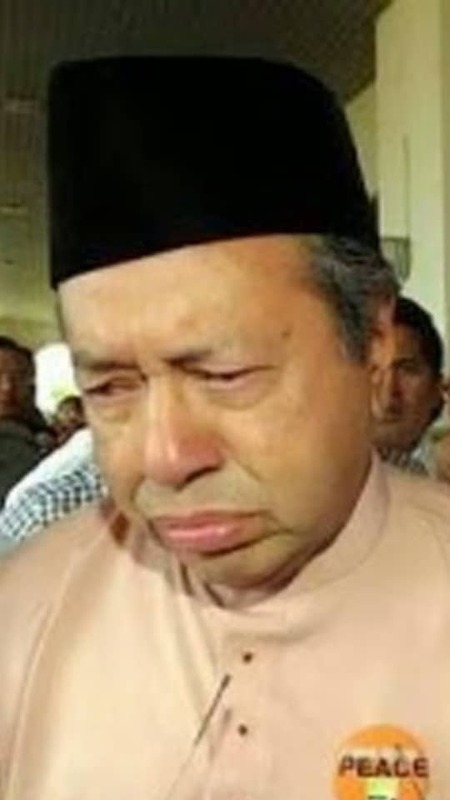 I remember when Lim Kit Siang and the opposition were decimated in one election, and how those of us who were rooting for him were shocked that people did not vote for at least the DAP, which offered something else to the politics that were tearing us apart. However, this is the past. Admittedly, things have changed. It is pointless chronicling the whys and hows of the fall of Najib Abdul Razak. When the old maverick claims that Bersatu was needed in the removal of Najib, I think it is more complicated than that. I think he was needed for the removal of Najib. Dr Mahathir Mohamad always knew how to play the political game better than his comrades in Umno. If Najib had just listened to him, I doubt we would be having this conversation. However, the removal of Najib is more than just the legacy of the old maverick. It demonstrated that a ruling coalition could fall. I want young people to take note of this. From what I gather, young people are infatuated with the old maverick and while I understand this, I hope the young people who were standing in the sidelines in the 14th general election now understand the future of this country – and more importantly, the power they could wield in determining this future. Young voters are the key, even if they do not care. Look, while I think that DAP, PKR, and Amanah are making an effort, I also think that there are many young people in Bersatu who know that things need to change. I mean, look at someone like Wan Saiful Wan Jin. Smart guy, but he has to conform to the politics of Bersatu, which is an early Umno pastiche. 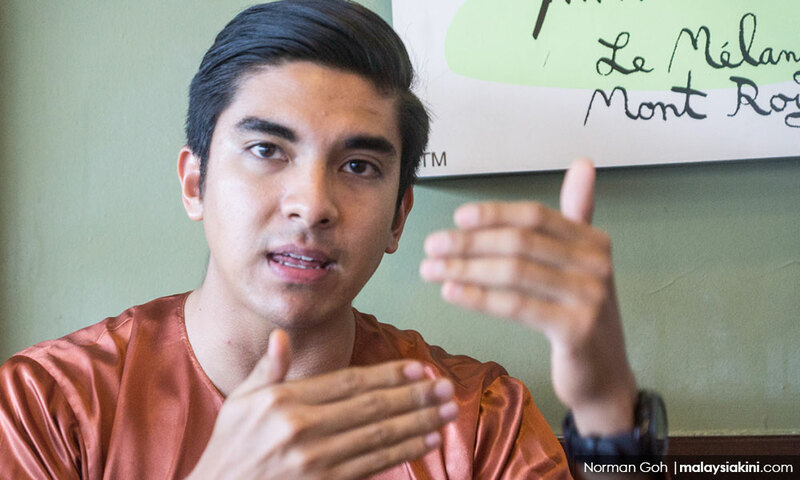 Honestly, I tried to give Syed Saddiq Syed Abdul Rahman (photo) the benefit of the doubt but if someone like Wan Saiful had brought the kind of American-inspired conservatism to Bersatu, which is what he did when he was in Institute for Democracy and Economic Affairs (Ideas), this would have been a good thing. Bersatu, whether we like it or not, has the best chance to lead the way but if it continues down this path, we are going down the crapper. Change does not take time. Political will stalls for time. We can move forward slowly or you could convince people that you are moving, but walking slowly on the same spot. I keep getting these clips of the old maverick saying that the education policy needs to change. I keep seeing young and old political operatives in Bersatu talking about how the Malays cannot rely on the tongkat and Bersatu needs to lead the way. I have heard all this before. Maybe you have too. Take education for instance. Firstly, why doesn’t someone give Azly Rahman a job sorting this mess out, but more importantly, if Bersatu and Harapan have the political will to slowly remove the tongkat and change the education system, they would make some good faith gestures. First, they would recognise the Unified Examination Certificate (UEC). Then they would do away with Malay-only institutions. They would recognise the International Convention on the Elimination of All Forms of Racial Discrimination (Icerd) for instance, and not in various political ways, propagate the "do not spook the Malays" meme. What we are hearing from the supposedly closed-door Bersatu AGM is the same game of federal control, of power, through proxies. This is why people are jostling for power, contracts and positions. Decentralise power, which would allow state-level affirmative action programmes for all races. I bet my last ringgit that more Malays would benefit from these programmes than non-Malays, if that is the fear of Malay and non-Malay political operatives. This way you could name the new agenda the Best Ultra Malay Initiative – BUMI – and nobody would care if everyone was getting the help they need, regardless of race. But everyone knows what separates Bersatu and the far right of Umno and PAS - polemics not policy. And while I am bitching about policy, this 1am closing time for nightspots in the Federal Territory is the dumbest and I would say a mendacious policy of the Harapan regime. Interfering in business – the price of KFC too high, really? Is it mendacious when you claim we have a trillion ringgit debt? There is a whole host of small businesses attached to nightclubs, not to mention the traders who service the after-hours crowd in local fare, that would be affected by this malicious rule. What Harapan is doing is destroying part of the culture of this country. Big City culture and what they want to do is to turn it into what some parts of this country are. Remember this day, because no matter what some people say about closing hours in the West, what we have here are sub rosa moves by the Islamist to slowly impose hegemony, Harapan style. This is just the beginning. Who knows what the following year will bring in the permutations of Malay power. Frogs jumping, political opponents having lunch, internecine conflicts among Malay brokers in the major parties. In this climate, do you blame people for feeling jaded and thinking that nothing changes? I have two hopes for the new year. The first that young people discover the power they wield. And the second that the people who supported Harapan pressure the government so it does not become another BN. Have a productive new year, Malaysia, whoever you are.